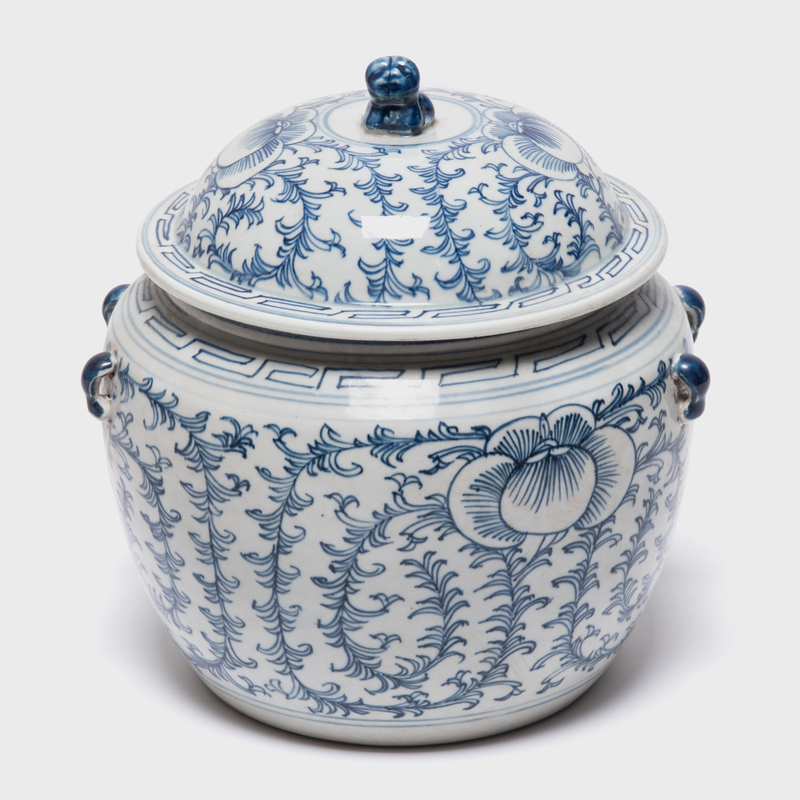 W: 9.5" D: 9.5" H: 9.75"
Painted with lotus blossoms and trailing vines, this covered blue-and-white porcelain jar dating from the turn of the 20th century was likely bestowed as a bridal gift. 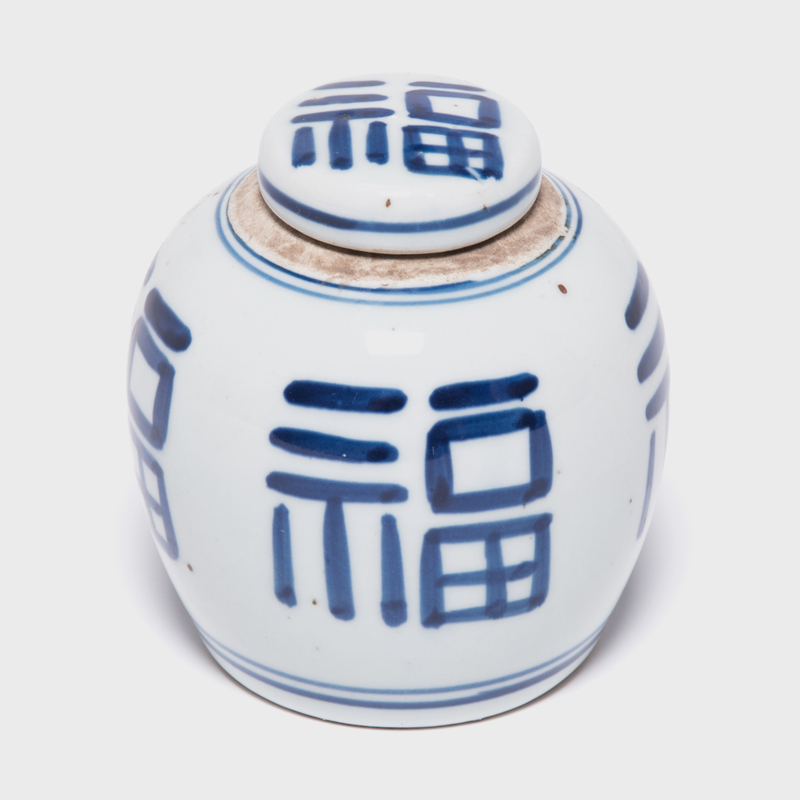 Decorated with a blessing for beauty, happiness, and a great life, the jar would have served the couple as a food storage vessel. 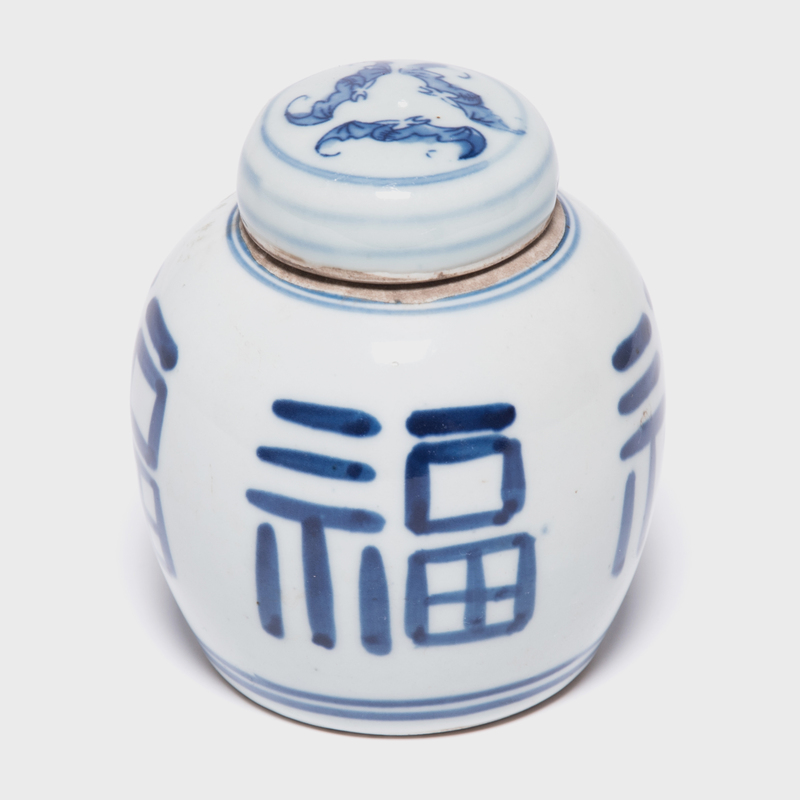 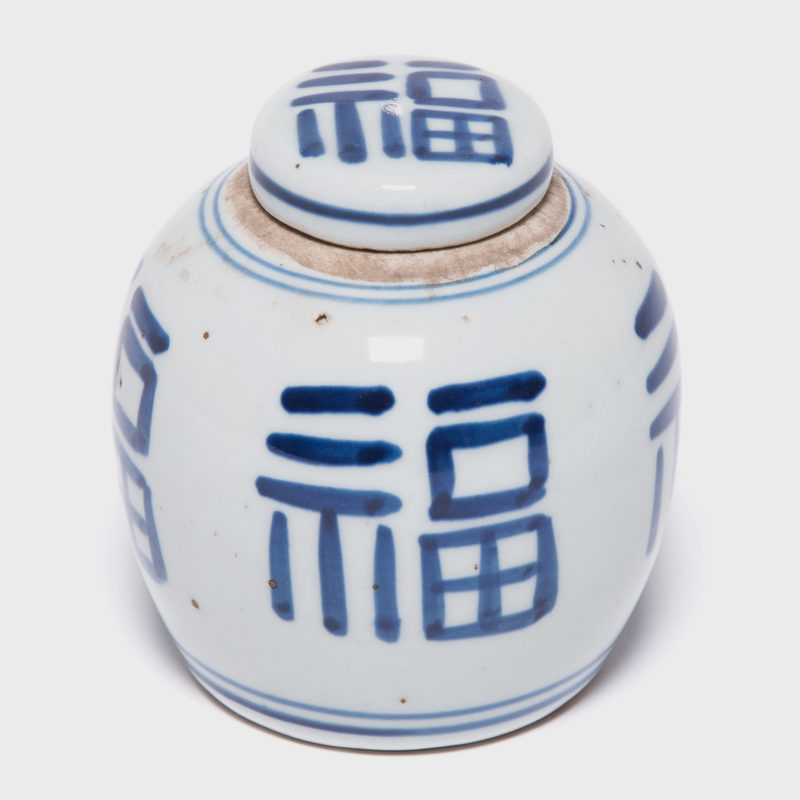 The small shizi dog that serves as the lid's knob acts as a symbolic protective figure and provides the jar with a finishing touch.